Start off your visit on the 31st (Wed): enjoy the sand and surf at Praia de Lavadores, snap pictures at Ponte de Dom Luis I, then contemplate the long history of Porto Cathedral (Se Catedral), and finally take a stroll around Palacio da Bolsa. 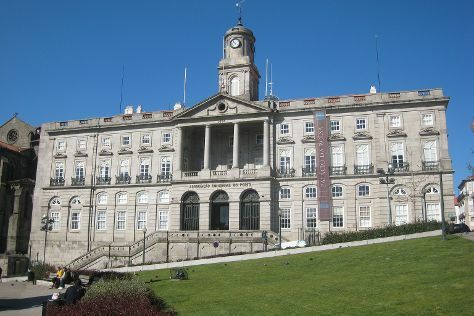 To find reviews, where to stay, ratings, and more tourist information, read Porto visit planning tool . Porto Seguro, Brazil to Porto is an approximately 21-hour flight. Traveling from Porto Seguro to Porto, you'll lose 3 hours due to the time zone difference. Traveling from Porto Seguro in July, plan for slightly colder nights in Porto, with lows around 17°C. Wrap up your sightseeing on the 31st (Wed) early enough to travel to Barcelona. On the 1st (Thu), contemplate the long history of Casa Batllo, then admire the landmark architecture of Casa Mila - La Pedrera, and then get to know the fascinating history of El Barri Gòtic. Here are some ideas for day two: pick up some local products at La Boqueria, then view the masterpieces at En construccio, then walk around Parc Guell, and finally don't miss a visit to Basilica of the Sagrada Familia. For more things to do, other places to visit, photos, and more tourist information, you can read our Barcelona trip planner . Fly from Porto to Barcelona in 5 hours. Alternatively, you can drive; or take a train. The time zone difference when traveling from Porto to Barcelona is 1 hour. In August, Barcelona is somewhat warmer than Porto - with highs of 33°C and lows of 25°C. Cap off your sightseeing on the 2nd (Fri) early enough to travel to Nice. 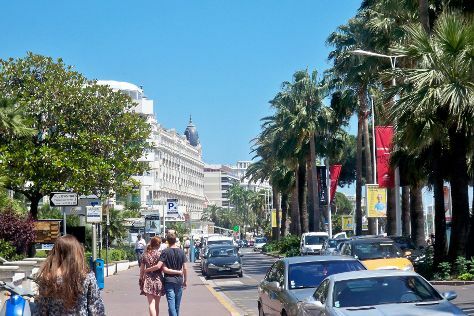 Head to La Croisette and Rue d'Antibesfor plenty of shopping. Venture out of the city with trips to Marche Forville (in Cannes) and Marche provencal (in Antibes). It doesn't end there: tour the pleasant surroundings at Castel Plage and take a stroll through Vieille Ville. For photos, other places to visit, maps, and more tourist information, read Nice driving holiday app . Traveling by flight from Barcelona to Nice takes 4.5 hours. Alternatively, you can drive; or take a train. Expect a daytime high around 32°C in August, and nighttime lows around 25°C. Finish your sightseeing early on the 5th (Mon) so you can travel to Paris. On the 6th (Tue), shop like a local with Le Marais, then don't miss a visit to Eiffel Tower, and then appreciate the history behind Arc de Triomphe. Here are some ideas for day two: admire the striking features of Cathédrale Notre-Dame de Paris and then admire the masterpieces at Louvre Museum. 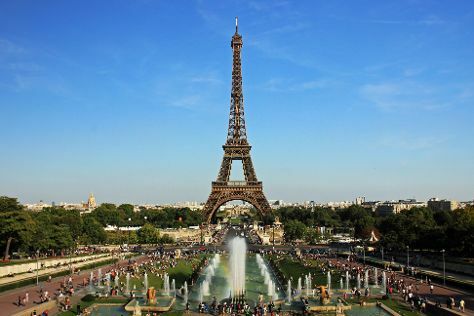 To see more things to do, traveler tips, photos, and more tourist information, go to the Paris vacation planner. Fly from Nice to Paris in 4 hours. Alternatively, you can take a train; or drive. Traveling from Nice in August, Paris is slightly colder at night with lows of 16°C. Cap off your sightseeing on the 7th (Wed) early enough to travel to Munich. Kick off your visit on the 8th (Thu): examine the collection at Munich Residenz, then admire the natural beauty at Schloss Nymphenburg, and then contemplate in the serene atmosphere at St. Michael's Church. To find traveler tips, other places to visit, more things to do, and more tourist information, go to the Munich road trip app . Fly from Paris to Munich in 5.5 hours. Alternatively, you can take a train; or drive. In August in Munich, expect temperatures between 28°C during the day and 14°C at night. Wrap up your sightseeing on the 8th (Thu) early enough to travel to Florence. On the 9th (Fri), take in the spiritual surroundings of Cathedral of Santa Maria del Fiore, get to know the fascinating history of Piazza del Duomo, take in the views from Ponte Vecchio, then explore the world behind art at Uffizi Galleries, and finally take in the spiritual surroundings of The Baptistery of St. John. On the next day, see the interesting displays at Academy Of Florence Art Gallery, get engrossed in the history at Basilica di Santa Croce, get a taste of the local shopping with Art Gallery Studio Iguarnieri, then get great views at Piazzale Michelangelo, and finally explore the world behind art at Pitti Palace. For other places to visit, traveler tips, maps, and tourist information, use the Florence day trip planning tool . Getting from Munich to Florence by flight takes about 4.5 hours. Other options: do a combination of flight and train; or drive. In August, Florence is a bit warmer than Munich - with highs of 35°C and lows of 20°C. Finish your sightseeing early on the 10th (Sat) so you can take a train to Rome. Kick off your visit on the 11th (Sun): admire the striking features of Pantheon, then get to know the fascinating history of Piazza Navona, then steep yourself in history at St. Peter's Basilica, and finally contemplate the long history of Colosseum. Here are some ideas for day two: make a trip to Vatican Museums, ponder the design of Trevi Fountain, and then explore the ancient world of Palatine Hill. For more things to do, ratings, traveler tips, and more tourist information, refer to the Rome trip maker website . Traveling by train from Florence to Rome takes 2 hours. Alternatively, you can drive; or fly. Expect a daytime high around 38°C in August, and nighttime lows around 24°C. Cap off your sightseeing on the 12th (Mon) early enough to travel to Dubrovnik. On the 13th (Tue), enjoy breathtaking views from Upper Corner Tower Foundry Museum and then take a stroll through Old Town. 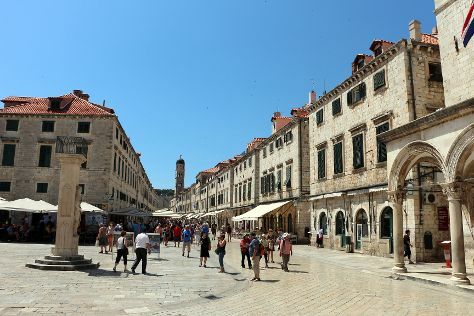 Keep things going the next day: see the interesting displays at War Photo Limited, get engrossed in the history at Rector's Palace, and then delve into the distant past at Walls of Dubrovnik. To see traveler tips, maps, more things to do, and more tourist information, read our Dubrovnik trip app . You can fly from Rome to Dubrovnik in 5 hours. Alternatively, you can do a combination of train and ferry; or do a combination of car and ferry. When traveling from Rome in August, plan for little chillier days and about the same nights in Dubrovnik: temperatures range from 34°C by day to 24°C at night. Finish your sightseeing early on the 14th (Wed) so you can travel to Athens. Acropolis of Athens and National Archaeological Museum are good opportunities to explore the local culture. And it doesn't end there: wander the streets of Plaka, admire the masterpieces at Benaki Museum, kick back and relax at Glyfada Beach, and appreciate the history behind Erechtheion. For more things to do, photos, ratings, and tourist information, read Athens planner . Traveling by flight from Dubrovnik to Athens takes 5.5 hours. Alternatively, you can do a combination of bus and flight; or drive. The time zone difference when traveling from Dubrovnik to Athens is 1 hour. Expect a bit warmer temperatures when traveling from Dubrovnik in August; daily highs in Athens reach 39°C and lows reach 29°C. Wrap up your sightseeing on the 18th (Sun) early enough to travel back home.